HomeMicrosoft TeamsIs Microsoft Teams Phone System Ready for Enterprise Roll Out? 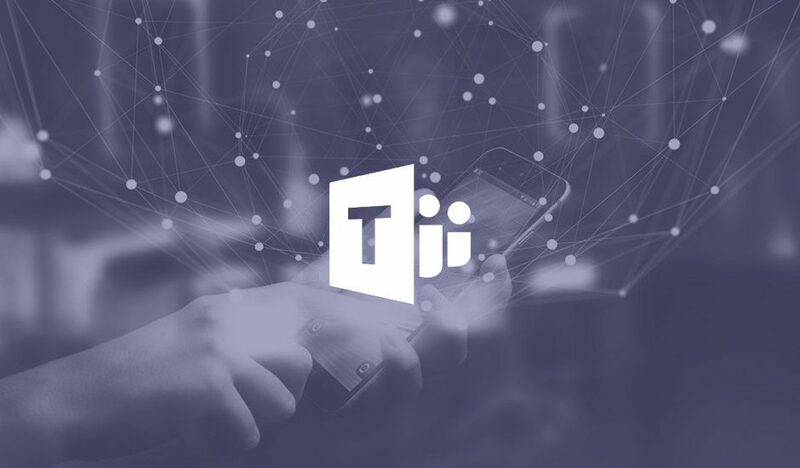 In 2017, Microsoft announced they would be phasing out their Unified Communications Platform, Skype for Business, and replace it with a new system, Microsoft Teams. Microsoft is now beginning the transition in Office 365 by giving IT administrators a choice of how to transition from Skype for Business Online to Teams. However, a big question remains. 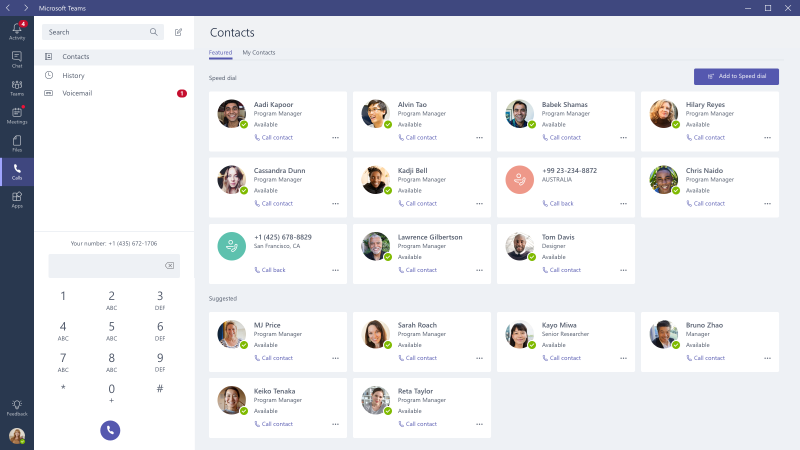 Is Microsoft Teams ready for a large-scale rollout, and more specifically, as an enterprise phone system? The short answer is yes, but it still needs work to completely match the capabilities of Skype for Business. Microsoft has completed 90% of their roadmap to integrating all the neccesary phone system capabilities into Teams. Microsoft provided this roadmap in 2018 and has deliever on adding a vast majority of the phone features from Skype for Business to Teams. You can see what they have completed in the chart below. The last category, which was supposed to have been completed in Q4 2018, is still not rolled out but these features shouldn’t be show stoppers to a deployment. Teams works with many of the existing Skype for Business IP Phones and hardware. In our deployments of Skype for Business, we found the Polycom VVX and Trio devices to have the best Skype for Business experience, and, we are satisfied to see this is extended to Teams. While there are yet to be “Teams Certified” IP Phones from any manufacturers, Polycom announced that they are going all in with new Teams hardware in 2019. Everything from IP phones to meeting room systems should see outfitting to the Teams platform. The Teams UI is simple and accomodating. The users of Skype for Business should not experience any major learning curves in migrating from Skype for Business. Just like the Skype UI, the Teams UI is divided into several categories. Teams, however, has added some new ones, including Activity, Chat, Teams, Calls, Meetings, and Files. You want to quickly chat with coworkers or other Teams users? Simply click on chat. You want to place a call, just click on calls. You want to schedule or join a meeting, click on Meetings, and so on and so forth. Additionally, most of the icons and buttons are exactly the same as in Skype, only in somewhat rearranged. The biggest new feature that may confound Skype for Business users is the implementation of the new “Team” feature, which is essentially a dressed-up version of Persistent Chat. Microsoft calls this feature “Intelligent Communications”. It’s a persistent IM chat that allows team members to add files, emails, meeting invites, meeting recordings, within the chat. It also integrates with many third-party apps to allow project management applications, notes, and tasks to be organized within one single thread. When fully maximizing the flexibility and potential of this feature, it can be seen how this type of communication will easily replace email in the coming years. The long email thread clogging our inboxes feel very archaic and outdated when compared to the feature set of Teams. While this new style of communication is great, it doesn’t detract from the fact that Teams has all the same unified communication features as Skype for Business with IM, Calling, Meetings, Screen Sharing, etc. The admin portal is incredibly simple. Perhaps the most impressive part of Teams is how easy it is to administrate the entire phone system directly through the Office 365 portal. In a test environment, I wanted to see how quickly I could establish a working phone system. Within two hours, I was able to create a new Office 365 instance, add users, purchase and assign the licensing. From this stepping stone, I ordered blocks of DIDs, order conferencing lines, establish locations, program E911, assign the DIDs to users, and create a fully functional Auto Attendant with multiple options, recordings and hunt groups. All within two hours. With some basic training, a tier 1 or 2 level IT technician could fully manage your phone system directly through the Office 365 admin portal. Of all the features, Team’s auto attendant programming was the most impressive. While you can upload your own greetings directly, you can also type your greetings and options, and despite the vast flexibility, the computer voice was flawless in its delivery. It doesn’t sound mechanical or mispronounce large sentences and options. It is significantly better than the Skype for Business auto attendant setup in Exchange Unified Messaging. Teams improves on the Online Meetings scheduling of Skype for Business by putting the ability to schedule meetings directly into the application. In Skype for Business, the scheduling of meetings could only be done through Outlook via an add on, and from within Skype you could only view the calendar of the current day. In Teams, you can schedule meetings, view your calendar days in advance, and use the scheduling assistant directly from the app. While Teams does work on most Skype for Business hardware so users make calls and performs all other basic functions, Teams is still lacking full integration with the PC. For example, the Polycom VVX IP Phones uses its BTOE application to work in conjunction with your PC via an ethernet daisy chain, but the BTOE software has not been updated to accommodate Teams. This means that your phone and PC are working independently, which can cause difficulties. This could be a show stopper for some people as being able to click to call on the soft phone and have the IP phone dial itself is a key feature of the system. Polycom and other vendors will have their Teams certified phones out this year, but as of today, this integration is missing. The road map is 90% complete, but there are missing features. As stated earlier, Microsoft still has some Enterprise calling functions that have yet to be rolled out. Besides the calling functions, Teams is missing many of the settings capabilities you had in Skype for Business. When you compare the settings you have in Teams to the settings you had in Skype for Business, it’s aparent that Teams has a lot left to catch up on. One of the biggest features missing is the ability to have the video feeds of meeting participants on one display, and the content being shared on another display. With most users and conference rooms now employing multiple displays, it is limiting when you must view everything in a single window. Teams still needs some general polish on the application. Yes, it can complete all the core functions of Skype for Business, it’s easy to use, and adds many new features to Skype for Business, but it sadly doesn’t feel as refined as Skype for Business. Little things like being able to drag and drop users in a Call, quickly sort people in your contact list and groups, and some of the 3rd party app integrations still need work. Teams is obviously the future of Unified Communications and with Microsoft beginning to transition Office 365 customers, we know it is only a matter of time before Skype for Business is phased out. Existing Skype for Business phone system users can migrate to Teams today, but it probably isn’t necessary yet, and you would be best served by postponing your migration until Microsoft is able to complete their roadmap and the new Teams hardware is available. If you are considering moving to Skype or Teams for your enterprise phone system, there is no point in migrating to Skype for Business when it will inevitably be replaced over the course of the year by Teams. If you were to join Teams today, you’ll find it has all the necessary functions of an enterprise phone system, but suffers from small limitations. Long term, you can see Microsoft’s huge competitive advantage in the unified communication and office phone system market. With most companies now on Office 365 or moving to 365, it only makes sense to incorporate your phone system directly within the Microsoft ecosystem. If you need help in mapping out your IT strategy or your migration to Office 365, Skype for Business, or Teams, let us assist you. You can call reach us by phone @ 301-960-0480 or schedule a free consultation on our website.